Many of my clients remodel without giving a thought to whether a permit is needed. In fact, many contractors will gladly perform work in a house and not even bring up the issue of whether a permit is needed. This Findlaw article explains when a permit is needed and when it is not. Planning on remodeling your bathroom, adding a fence, or re-roofing your house? If so, you may need to obtain a permit. Fixing or remodeling a house is hard and costly enough, but figuring out which permits you need and applying for them can make the job even harder. Do you really need one? While laws may vary from city to county to state, many states, such as New York, New Jersey and Pennsylvania follow the Uniform Commercial Code (UCC). The UCC, generally, requires a permit if you intend to “construct, enlarge, alter, repair, move, demolish, or change the occupancy of a residential building.” Essentially, you’ll need a permit to knit up the holes in your socks. Replacing bathroom features, and many more. 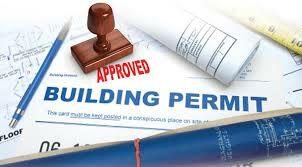 To get a permit, submit an application to your local building code official. With the application, you’ll need to include construction plans and specifications. If the repair is an emergency, and you do not have time to wait for a permit approval, go ahead and do the repair. However, remember to apply for a permit within 3 days of the repair. If you fail to get a permit before making repairs, there’s a slim chance you won’t get caught. However, if you do get caught, you’ll likely have to pay double the fees, and the remodeling will be inspected for code compliance. If the inspector finds that your remodeling is not up to code, you may have to make more repairs or tear the remodeled bathroom out entirely. Even worse, failing to pull the proper permits could complicate the sale of your home later on. If you’re remodeling your home yourself, check with your local building code official or community development office to apply for a permit. If you’re hiring a contractor, make sure the contractor applies for the proper permit. If a contractor does work without pulling proper permits, and now your home is not up to code, consult with an experienced construction lawyer for assistance. Should You Ever Pay Cash for a Home? Understanding The Different Forms of Ownership on a Deed.